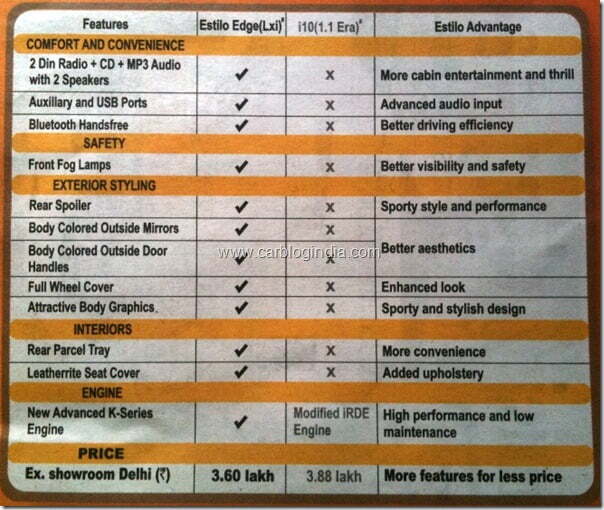 Maruti Suzuki is best small car brand in the country and the popularity is literally unmatched. They have been offering amazing cars, exceptional aftersales service and true brand loyalty for over a decade now. One of the recent hits from the brand was Maruti Alto K10 which were sold like hotcakes and are still leading the sales figures of most of its counterparts. 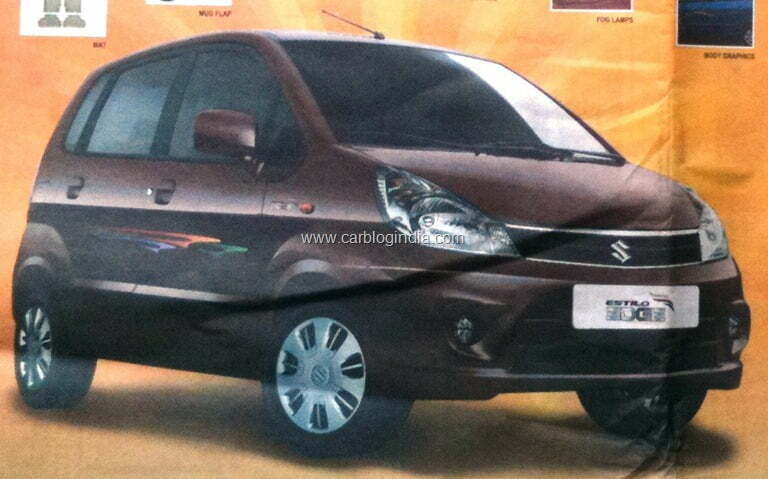 Other successful cars from the brand include Maruti Suzuki Wagon-R and Maruti Suzuki Zen Estilo of which the Estilo has been been follower. The company even came up with a Maruti Zen Estilo CNG variant to boost its sales but evidently the car was not competitive enough in terms of overall looks and features and now to giving it another shot, the company has launched Maruti Suzuki Zen Estilo Edge. 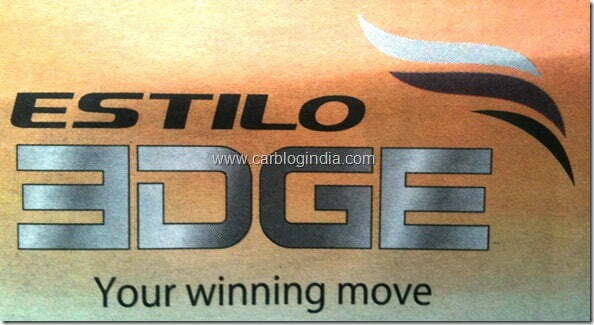 This time things might work for the brand as the new Edge model does get an edge over many other cars including Hyundai i10 in terms of new features which were missing otherwise. The appearance is almost the same with minor changes on the exterior including new catchy body graphics and body coloured ORVM while the interior is what to look out for as a number of cool features have been added making the car appeal to new buyers considering it. It’s a powered by the same 3 cylinder 12 valve 998 cc k-series engine which delivers a maximum power output of 67 BHP at 6200 rpm and a maximum torque of 90 nm at 3500 rpm. The K10 engine is constructed using aluminum, and accounts for better mileage and smooth operation and also has an advantage of producing less noise and vibrations. The car also gets an improved fuel efficiency of 19 km/l. 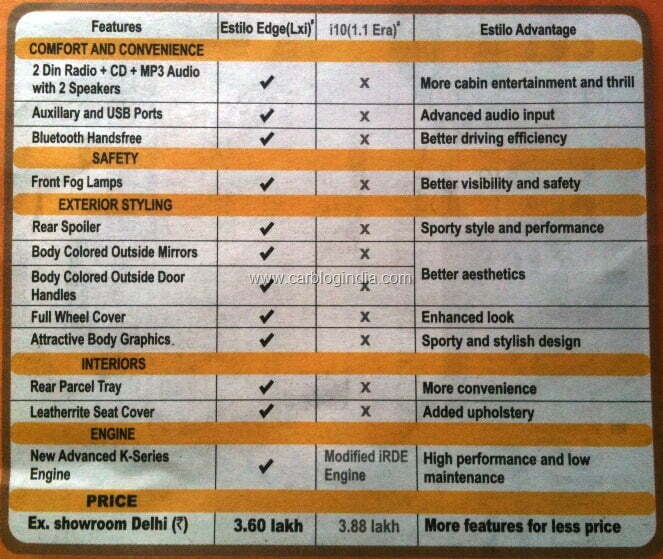 The price starts from Rs.3.60 Lakh (ex-showroom Delhi) and for sure the car offers more features at a lesser price.